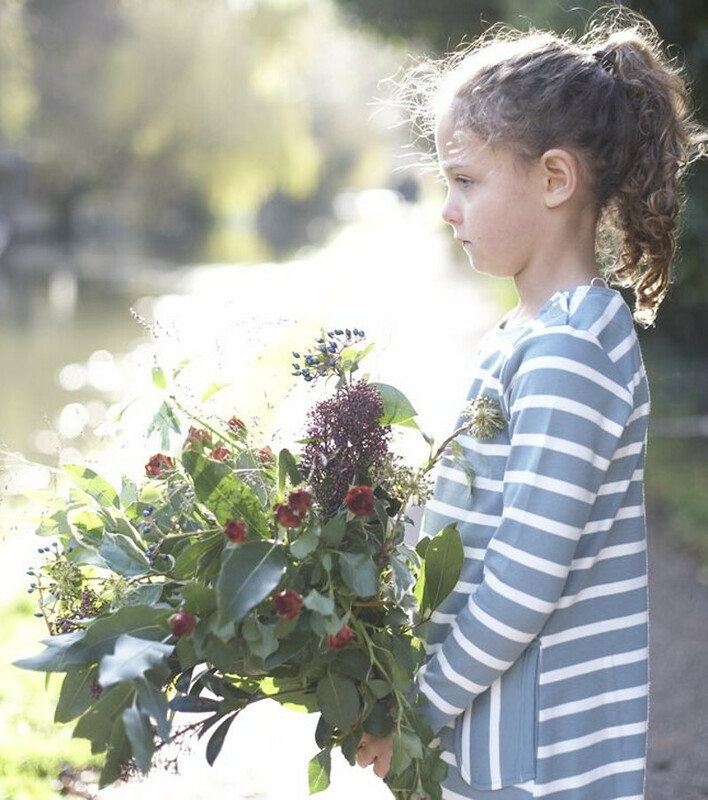 This classic Breton stripe dress in smoke blue is 100% GOTS certified, Soil association organic and a true classic design. 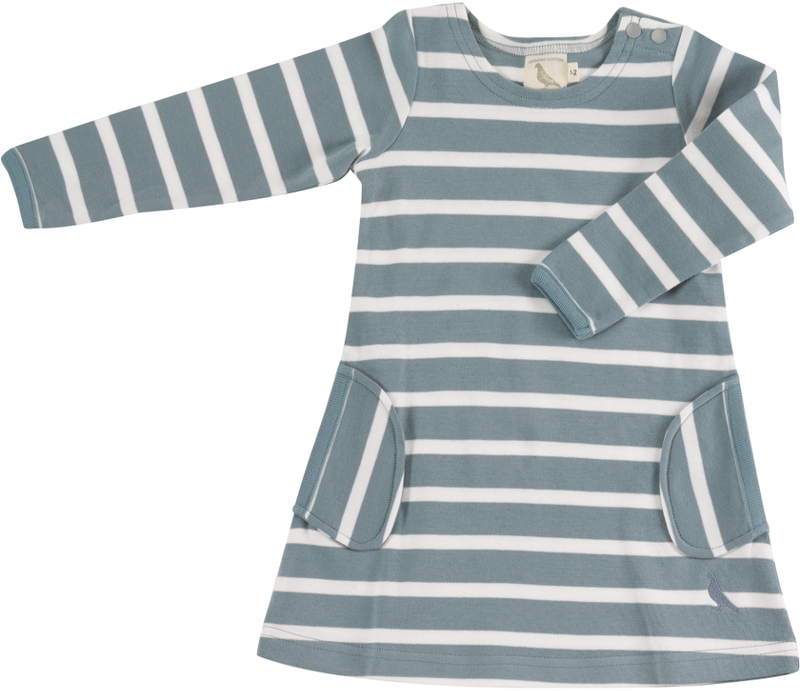 Fabulously soft and gentle on babys skin, it is has poppers on the shoulder for easy changing and is kind to the planet too. 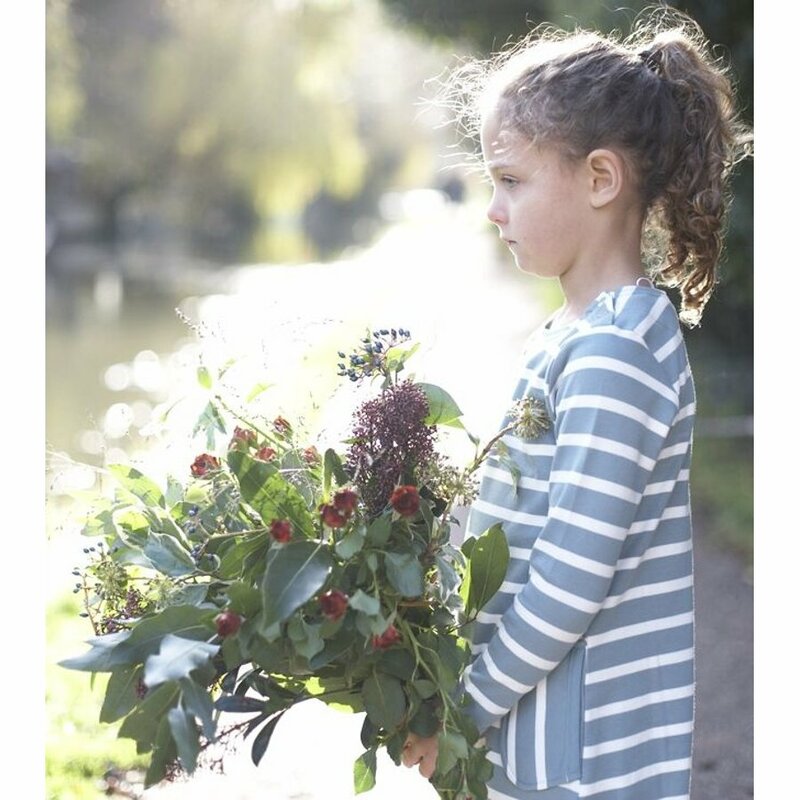 Based on a lifelong passion for textiles and a deep interest in environmental solutions, Pigeon organics has taken on a life of its own, combining the finest and softest organic cotton with unique but classic designs and a serious attention to detail at every stage of production. 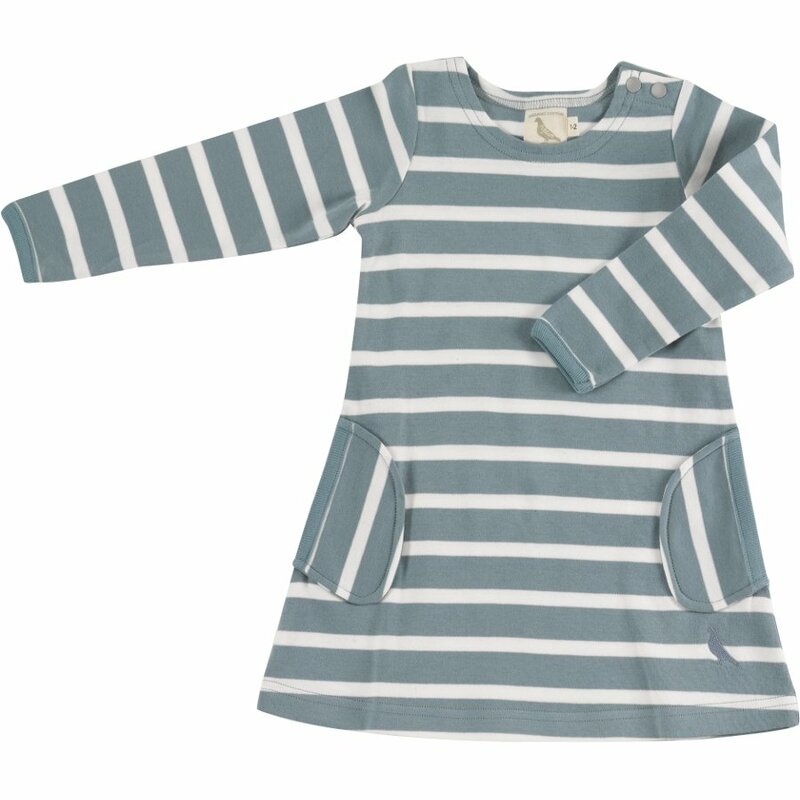 There are currently no questions to display about Pigeon Organics Breton Stripe Dress - Smoke Blue.